Mirillis Action! 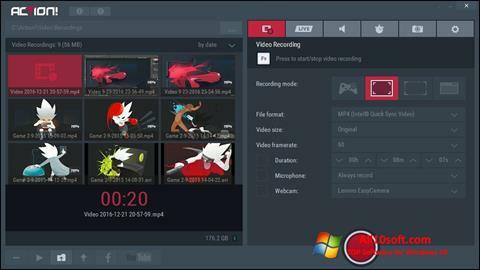 for Windows 10 - A program for capturing video from a PC screen, intended primarily for gamers who want to record the passage of video games. There is a function of testing performance in games. All parameters are displayed in a small window that appears when you start the game. Additionally, it is possible to create screenshots in the game, view them and videos through the built-in tools. To record a full, supported sound recording from a microphone, eliminating the need to impose it separately. You can free download Mirillis Action! official latest version for Windows 10 in English.